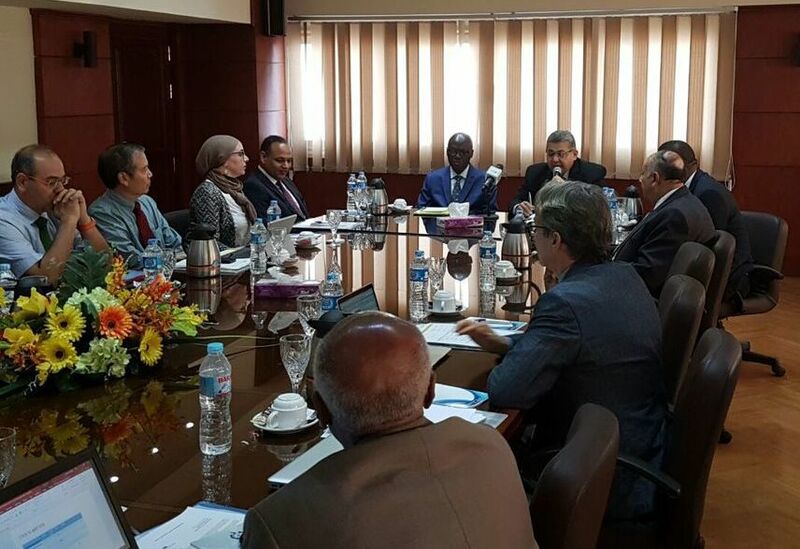 The Board of the African Network for Drugs and Diagnostics Innovation (ANDI) met in Cairo, Egypt from November 1-2, 2016 to discuss ANDI’s progress in facilitating health innovation in Africa. 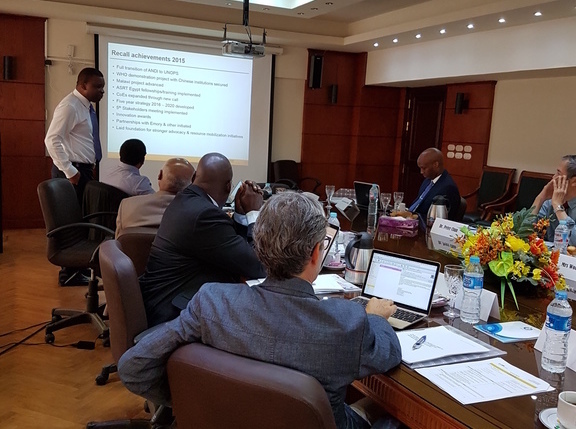 As part of the event, an update on the ANDI's Cell-Phone Application to support rapid diagnostics testing at point of care in Africa was presented to the Board. This project is part of the WHO Demonstration Project on Diagnostics Development, Manufacture and Access which is supported by the World Health Assembly. The project is also providing a platform for the local production of rapid diagnostics tests in Africa. (Left to Right) Prof Mahmoud Sakr (President, ASRT), Mr Issa Matta (Legal Counsel, WHO), Dr. Peter Chun (CEO, EASE Medtrend), Dr. Solomon Nwaka (Executive Director, ANDI), Prof. Ashraf El Sheehy opening the meeting (Honorable Minister of Higher Education and Scientific Research, Egypt), Dr. Tshinko Ilunga (Chair, ANDI Board), Dr John Reeder (Director, WHO/TDR), Ms. Worknesh Mekonnen (Director, UNOPS ETOH), Prof. Berhanu Abegaz (Executive Director, African Academy of Sciences) and others. (Above) Dr. Solomon Nwaka (Executive Director, ANDI) presenting ANDI’s milestones in 2016 to the Board members. (Above) Representative of the Theodor Bilharz Research Institute (TBRI), Prof. Sanaa Botros greets Board members. Prof. Sanaa Botros has been involved in the work of ANDI since its inception in 2008.